Ah, the art of Twitter—there’s just something about having so many people’s eyes at your fingertips. Even though this social media company has been around for nearly 15 years, companies can still find themselves in a tough spot with their followers in a matter of seconds IF they don’t have a strong social media strategy and crisis communication plan in place. Below are five (epic) examples of companies who got it all wrong on Twitter—and no one will soon forget it. 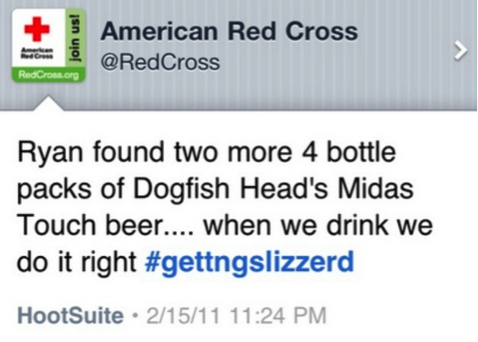 This is an oldie, but goodie example of an employee who unfortunately got tripped up while using Hootsuite. The lesson? Keep personal and professional posts separate—especially when representing a brand entity. 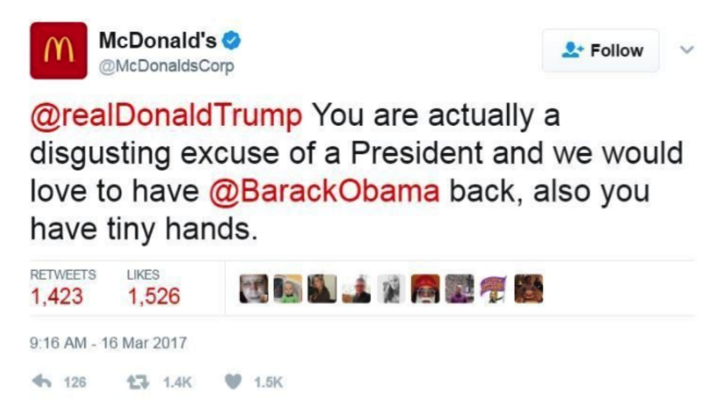 On this particular day, McDonald’s did not hold back on its sentiments regarding the president. Later, the company issued an apology and stated that their Twitter had been compromised by an external source. Always ensure your social media team keeps logins secure and up-to-date so accounts are not hacked. While posting about culturally relevant happenings can be of benefit to brands, in this case, it was probably not a good idea to associate a politically-charged and socially-sensitive event to their brand. 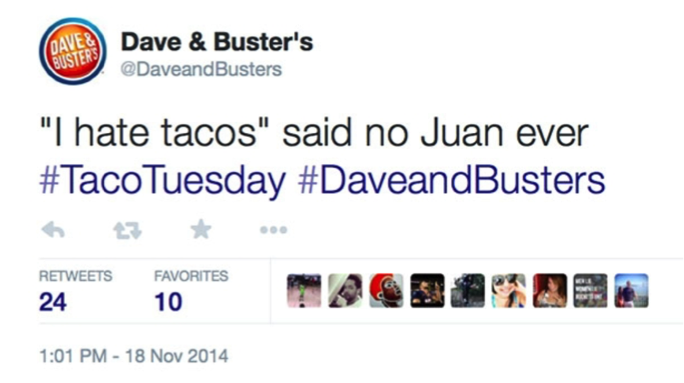 Many large corporations like to engage with their followers with humor—but as Dave & Buster’s learned the hard way, jokes can be offensive. Puns can be clever on social media but should not be offensive or riddled with undertones of racism and judgment. If you’re uncertain of whether a post could be taken the wrong way, ask a fellow colleague first or if you’re at all in question, delete the draft and try again. Again, while commenting on culturally relevant happenings is typically okay for brands, avoid associating the brand with any happening that is sensitive in nature for any population. Hey, mistakes can happen—especially when you’re an employee managing your company’s multiple social media accounts! Fortunately, there are great tools available for companies, like HootSuite, to appropriately streamline and schedule social media posts. The golden rule is to always, always check what account you’re linked to before you post, NO MATTER WHAT. Though McDonald’s Twitter account was compromised, it’s not unheard of for large corporations to get political because they want to leverage their gigantic platform. Though it can be tempting, getting political isn’t always a good thing for a company’s brand. Before a company makes the decision to get in the political lane, it’s important it evaluates the pros and cons—and why it’s important to the company’s future. We get it—humor works a lot of the time, but it can easily backfire and put your company in the category of “tone deaf” or “insensitive”. Because of this, we always recommend vetting your social media posts internally and, when in doubt, if you think it might be offensive, it’s probably best to start from scratch. It’s tough to keep up with international news and trends, but being in “the know” will pay off for your company’s social media and keep you out of the line of fire. Additionally, before you adopt that popular hashtag, be sure that you understand its history and what groups it may be tied to—it could save your company a ton of trouble in the future. While a corporate twitter blunder may not define you—how your company chooses to handle it could. Something that American Red Cross, McDonald’s, Kenneth Cole, Dave & Buster’s and DiGiorno all have in common is that they took accountability and apologized. 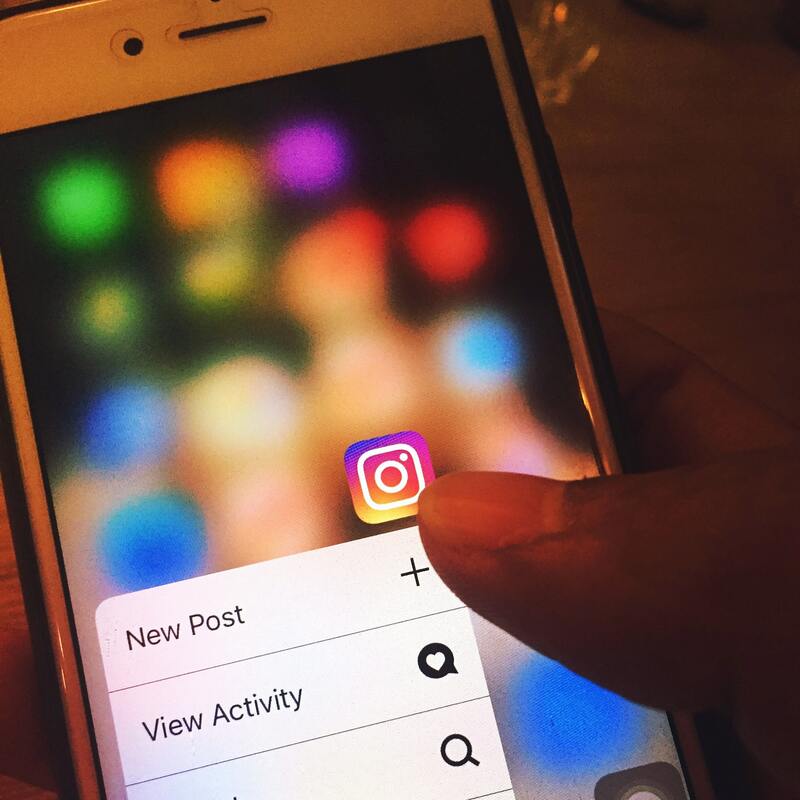 Check out Philosophy’s recent blog How to Survive a Social Apocalypse: Four Tips to Handle a Social Media Crisis to learn more on how approach social media damage control. If you’re looking to ante up your social media game for your business, we can help. From social media strategy and planning to executing full campaigns that inspire viral reactions, our team of experts can help you be a part of the online conversation. Take control of your social media reputation today. Tweet us or Facebook us to kick start the conversation.